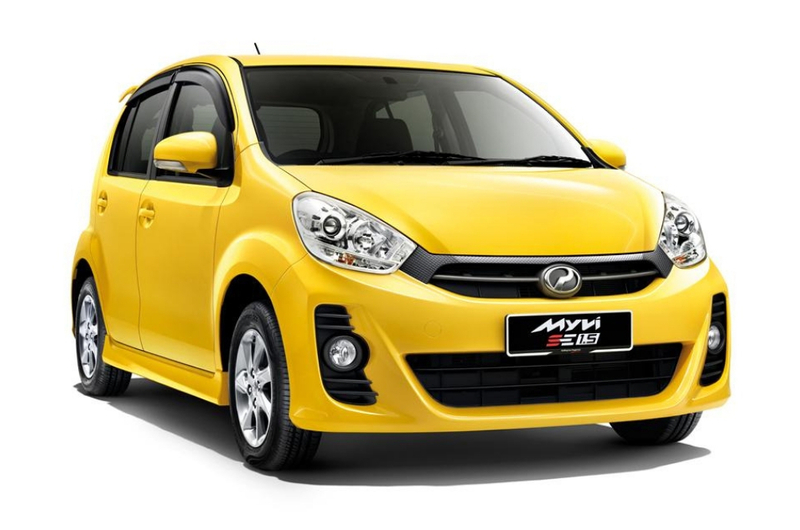 Perodua Myvi Is Now Sold In Singapore But With The Price Tag Of RM197,000! That’s like four times the market price for a Myvi in Malaysia. If we were to talk about the legendary cars of Malaysia, the Perodua Myvi has to be in that list. The Myvi is very popular here, especially among fresh graduates who are looking for their first car. Also, they have a pretty, umm, bad reputation on the highway. We know you’ve probably seen one or two viral videos online where a Myvi attempts to overtake other supercars on the highway and of course, succeeds. So, it’s only a matter of time until the Myvi conquers the world and as a start, they’ve recently expanded to Singapore. As of Monday (15 April), Singaporeans can now purchase and own Malaysia’s iconic compact car. But what's more surprising is not the time it took for the car to reach their shores, but it’s the price tag. Only two models will be sold in Singapore – the 1.3 X AT priced at SG$64,800 (RM197,093) and the 1.5 H AT priced at SG$69,800 (RM212,301)! In comparison, the Myvi sold in Malaysia ranges from between RM46,590 to RM50,290, depending on the model. Yikes! And you thought car prices in Malaysia are expensive. The Perodua Myvi launch was held last Saturday at Perocom Auto’s outlet in Ubi, where it already attracted some 250 customers. “The current-generation Myvi’s foray into Singapore is significant in terms of brand presence despite the high barriers for entry into this mature market. This also marks the model’s first export destination under the Perodua brand,” said Perodua President and CEO Dato’ Zainal Abidin Ahmad. We don't know the maths, but we think it's probably cheaper to buy one in Malaysia, and export it over. Singaporeans, help us out here.